If you don't care about why, or are buying for someone else, then skip down to my recommendations. Most camera features are just marketing junk. They are either pointless, don't work, or sound great at first but when you actually try to use them just let you down. I have a camera with a swivel LCD, I've used it for about 0.01% of my shots, and really only when I'm shooting on a tripod and manual focusing. It also has an auto HDR mode that is useless. There are lots of little features that looked neat but turned out to either be incorrectly implemented or not useful. Megapixels are meaningless. There was a huge difference back in 2010, but today even 3 generations old cameras have enough megapixels for almost anything you would ever need. It's not just the number of them, it's the quality too. A 14 megapixel sensor from a modern low-end camera can easily outshoot a 12 megapixel professional camera from an older generation. It really comes down to how you will use the pictures. If you're just showing them on a computer or TV, then you're throwing away most of the megapixels. Only when you start printing really big will you start to think about megapixels, and I mean big like 2' x 3' prints. Even then, your prints can still be way less than 300dpi and never noticeable. Most people actually look at the whole picture, not press their nose up to the glass to see if they can spot the pixels. I have an older generation 12MP camera that still takes excellent pictures, ones I would easily print 12” x 18” and never be worried about quality. Other numbers are also just part of marketing hype too. Many of them swayed my last camera purchase, so I spent more than I needed too. Now I am paying the price. I can't round out my lens collection because I haven't yet saved enough money to buy all the lenses in all the focal lengths I need. High ISO. I used to think I needed a camera with super-high (stupid-high?) ISO. I ended up buying one that goes to 25,600. Do I ever need ISO 25,600, no. Have I used it, yes, for a couple of cute pictures of my kids conked out in dim light. Those were just cute pictures, nothing special, just something to share on Facebook. I could have saved a couple hundred towards another lens if my lack of experience hadn't led me astray. Most modern DSLRs look great up to ISO 1600 and even 6400 in the right light. There are very few great pictures waiting for you above ISO 6400, and usually for good reason - the light usually stinks. Move to better light, wait for better light, or add your own light. Don't let ISO or talk about “noise” sway you into spending too much. Frames Per Second. Here's another one I thought would change my life. wrong again! I went from 2 fps to 4 fps, and eventually 6fps. Did I catch more "moments"? No! Actually I ended up with more out of focus pictures, pictures of people with their eyes closed and/or embarrassing expressions on their face. I guess I caught more moments, just the wrong ones. Here's the thing they don't tell you about high frame rates, they're also limited by the speed of your AF system, which is a combination of camera and lens. You're much better off learning your subject and anticipating what might happen next. Even if you're shooting a group of people, especially kids, you should learn how to engage them instead of firing bursts and hoping for the best. You'll just end up poring through dozens or hundreds of pics and disappointed that none of them worked out. It gets worse, you might try the dreaded multi-hour photoshop "head replacement" move: combine a good expression from each person in your group photo. Wouldn't you rather spend time taking pictures instead of fixing them? I've started to learn to anticipate the right moment and engage my subjects. I found I am getting better pictures because of it. Number and type of focus points. This is a chicken-or-egg type of issue. In this case I'm going to recommend not worrying about it for now. Sure, more points can be helpful, and those that have more points are usually faster, but until you know the difference between a cross-point, horizontal, or vertical sensor, and until you've mastered focus, additional points aren't going to help you much. They're nice, but if you're letting your camera pick those points for you they're not going to do you any good. Most cameras today have at least 11 or more points. That's plenty to start with. Fancy Controls and/or Rugged Construction. I have both a rugged body with "fancy" controls (meaning it has more dedicated buttons) and also a "consumer" level body. I used to think that having a body with more controls would change the way I shoot. It didn't. It didn't change anything. All those extra buttons are just as inconvenient as the overloaded buttons on the "consumer" bodies. The more experienced I got, the less things I needed to change. Don't get suckered into thinking you'll be changing metering and focus modes every two seconds: you won't. The only thing I change regularly is exposure settings, and those are quick to change on ANY DSLR. As for rugged construction, you'd be surprised how delicate the rugged bodies are, and how tough the "consumer" bodies are. I've dragged my consumer level DSLR everywhere for years, it's a little worn, but works just fine. I had to have the sensor swabbed recently, but that's about it. The rugged body I have is heavy, really heavy, and I would never want to bump it or drop it. More mass means more force. I'm certain whatever lens is on it if it falls will not survive, and who knows what internal damage it would occur. Peace of mind is nice, but how much is it worth? Canon, Nikon, or other? Doesn't really matter. Canon an Nikon tend to have bigger systems, meaning more lenses and accessories including 3rd party options. There's not really an advantage to either. Even though each brand may do something slightly different or have a slightly higher number in one statistic, none of that stuff even matters. Just take a look at the great portrait, landscape, wildlife, or sports photographers. There you will find a very even mixture of all brand equipment. You can't tell the difference from their results, because when it comes down to it, equipment doesn't really matter. If it did, and one was truly better, then all the pros would use that one brand. It really comes down to personal preference. Find what feels good in your hands, what is easy to change settings with, what viewfinder works for you. If this is your first ILC (interchangeable lens camera) then you probably know someone who has a camera. Ask to try it out, see how you like it first. SLR or Mirrorless? This decision primarily comes down to two questions, are you taking pictures of moving things and how much do you want to spend? Currently, Mirrorless cameras don't have quite the same focus performance as SLR cameras. This is mostly about focus speed and keeping a lock on moving subjects. Accuracy is good across the board. So if you're planning on shooting sports, action, birds, or kids, then I highly suggest sticking with a regular SLR and the traditional phase detect focus system. The stand out exception to this is the Nikon 1 series, which has somehow managed to package SLR focus in a Mirrorless camera. We're still waiting for mirrorless cameras to catch up. If you're going to be shooting mostly still subjects this won't be an issue for you. The other problem with mirrorless is cost. You can buy a better performing SLR and several lenses for the cost of most comparable mirrorless cameras with just the kit lens. So if cost is important to you, stick with a traditional DSLR. A camera with ability for manual control and interchangeable lenses. That's pretty much every DSLR on the market today. Buy less camera and more accessories. Lenses: This is the most important thing. The good ones are expensive and specialized, but there are bargains to be had. You'll want to cover a variety of focal lengths and also have a few lenses with “large apertures” for a variety of reasons, low light photography among them. Flash: There is really no substitute for good lighting, but you're not always going to have quality light. The answer is to make your own light. The results can be spectacular. All the little flash accessories start to add up, but even here you can usually find something entry level that will solve some of your lighting problems. Support: I personally feel that a good camera strap helps. It can change carrying a camera from a chore to a convenience. Good straps do cost money and this is one area where you get what you pay for. There are many great photographers who never move beyond the stock strap, so even if you don't opt for a strap there are other levels of support that you will need. If you are planning any kind of landscape or scenic work, macro work, or night work then you will need a good solid tripod. Once you're on a tripod you'll need a good remote shutter release. You can get away with a $100 tripod that includes a ball head, but that is more than most people think they want to spend. Keep in mind that the real landscape pros spend more than $1000 on a high quality tripod, ball head, and various Arca-Swiss adapters and L-brackets. Don't cheap out on a tripod. I had a cheap tripod and it had a terrible “pan head”, was wobbly, quickly wore out, and eventually cracked. This was a common brand name tripod too. Don't get a “pan head”, ever. The day I finally got a ball head is the day I began enjoying using a tripod. Filters: Filters can do things that software can't. The two primary filters you will need if you do any kind of outdoor photography are circular polarizers and neutral density filters. Circular polarizers remove reflections from surfaces. This can be from windows, water, or even leaves. Neutral density filters reduce the amount of light that gets to the sensor. It basically lets you slow your shutter speed down so you can blur things like traffic, water, clouds, or even people. There just isn't any software that can do these things for you. Acceptable versions of these filters run about $40 each. Really good versions will cost over $100. You'll need to buy 2-3 of these. Even though they aren't super expensive they will easily eat away at your budget. I also want to put in a word here about graduated filters (filters that allow you to even out exposure of a bright sky and dark foreground). These are super expensive and require special holders. They can be replicated in software, but you have to both have the right software and be experienced in using it to replicate them. Software might seem cheaper, and it probably is a little, but It's still an investment in the programs as well as experience and training. I personally don't own any graduated filters but they are on my plan to buy list. I already spend enough time in front of a computer just organizing and selecting photos (and prepping for printing too). I really don't want to add more time in front of my computer. This isn't true for everyone. There are landscape pros in each camp and the results are equally impressive. You'll decide for yourself eventually, but you won't have to worry about these advanced techniques until much later. Software: There are really no images coming straight out of camera (SOOC) that are finished. The reasons are simple, the camera already started making decisions about contrast, color, saturation, and sharpness without much input from you. Even if you change your settings to override the camera, those are probably specific to one set of conditions. Every image is different, and applying one set of image controls to every image isn't going to work. It might be a great staring point, but you'll really want to process each image individually. The camera is stupid, and you are smart, you know better than your camera how the images should look. This isn't like the days of film where you had to live with whatever type of film you bought. In the age of digital you are in control. If you think post processing isn't necessary, and film was purity, then take a look at the work of Ansel Adams. He did in the dark room what we do today in Lightroom. At the very minimum you will need a catalog and organization system. Keeping all your files in various folders on your computer is going to waste your time and test your patience. You need some way to quickly view, search, and organize your pictures. I use and recommend Adobe Lightroom, the packaged version. It allows you to pull in pictures off your memory card and automatically organizes by date. You can skim through your photos by looking at the thumbnail images and pick and choose the ones you want to keep or share. It allows you to install services that allow you to upload to common photo sites or Facebook. That is not the only option, but I can say that after 4 years of use that it has vastly reduced the amount of time I have spent on the computer trying to find and organize pictures. You will also need photo editing software. Lightroom has great editing software built in and I rely on it for 99% of my processing. For more advanced work there are other options available, but you wouldn't need those until you're more experienced. Don't make the mistake of jumping into complex software too soon, you'll need to spend more time behind the camera making great images before you spend time behind the computer making a great image greater. Below you'll find my equipment recommendations, starting with buying advice. Buying a camera is almost as complex as using one, so I've put all the advice I've learned about buying cameras over the last 10 years. If you've never purchased an expensive camera online this is a MUST read. Even if you have, you can still learn to keep safe and save money. The first and most important advice is that when you're looking to buy camera equipment that you buy safe. There are way too many people trying to rip you off. Please, only shop at reputable web sites and reputable stores. If you see a deal at an unknown site that costs less than what you see at the reputable ones, it's probably a scam. Camera companies like Canon and Nikon have explicit contracts with their retailers. These contracts specify that the retailer MUST sell at the price dictated by the manufacturer. That is why there are frequently packages that include extras or 2% back in store credit - to provide incentives without dropping the price of the camera. Disreputable sites will pull a common scam where after you purchase online, they will call you up and explain something is wrong with what you bought or with your credit card. It could be that the camera you bought is the "international" version and isn't compatible with U.S. lenses, or doesn't include some critical component like a battery. Sometimes the item they said was in stock is suddenly out of stock, so they have your money while you wait. Other times they can't ship the item quickly unless you "upgrade" your shipping. They might try to tell you what you picked isn't very good and try to upsell you to a more expensive item. All lies. The bottom line is that you will not get the item you wanted and pay anything less than you would at the major retailers. You will probably pay more, if they even ship you anything at all! Safe sites include: Amazon.com, Adorama.com, and BHPhotoVideo.com. Major retailers are a safe bet such as BestBuy.com, WalMart.com, and Target.com. Major retailers typically don't offer better prices or faster shipping than the online sellers. If you think in-store pick up is fast, try it then get back to me. I prefer to go about my daily life for two days than go through the inconvenience of attempting an in-store pick up. This great story from SLR Lounge explains camera sales scams in great detail. It's actually a fascinating read and I highly suggest it. Sometimes you might find a camera packaged with extras. Extras like camera bags, tripods, memory cards, batteries, and lens "attachments". Avoid these unless they are the exact same price as the base model. They are packed with cheap junk that will work poorly, fail, or break. Cheap stuff just brings frustration, I've had more than enough experience with that. Even if they are the same price, you probably don't want to keep all that extra junk around. Beware, there are many packages with "non-VR" versions of lenses. Just say "no". "VR" is Vibration Reduction (also known as "IS" or Image Stabilization and sometimes other names), and it really works. You can see the effects in the viewfinder as you hold the camera. With it on, as your hands shake or move, you'll see the image slowly drift around. Turn it off and the image jumps around unpredictably. VR helps eliminate camera shake and is great, especially for longer lenses. Unless you have a great Tripod and are always going to be shooting on a tripod, then just skip it. Go for the VR version. This is one of those things you shouldn't skimp on until you're looking to buy very expensive telephoto lenses and the difference cost comes down to thousands of dollars, not tens of dollars. Just buy the VR version. I've never come across a warranty that was worthwhile. They're not really warranties, they're insurance policies. To get them you have to submit a claim, which can be denied. You often have to pay a deductible on top of the cost of the warranty. They don't cover all possible situations. Frequently you have to pay to ship your item far away where it will remain for a long time and pay to have it shipped back. They also expire. By the time you're done you could have paid for the repair out of pocket yourself. There's a reason they're sold, it's because they are profitable. They are more likely to profit off of you than you are to damage your item beyond repair. Statistically you're better off self insuring. For every item you could buy an extended warranty, simply put that money in a safe place instead. Chances are you'll be able to buy a brand new version of the one thing that breaks and still have money left over. Check out Consumer Reports for more details. Gray market products are products that are imported into a country outside of the normal manufacturers shipping practices. Usually these are products bought at a discount due to currency value differences and imported by 3rd party sellers. Sometimes they are just dumped into a country by the manufacturer who can't sell them anywhere else. The product is new and there is nothing different about the camera or lens, they're all made in the same factory. The problem with gray market is that there is no warranty and you won't be able to get the product repaired by the manufacturer, possibly ever after your return policy expires. I would not recommend this, you're probably better of buying used. You're really gambling if you buy gray market. Refurbished goods are those that were returned to the manufacturer as damaged and then repaired. Most refurbished items come with a very small warranty period, typically only 90 days. If a manufacturer is not willing to stand behind their own repair for more than 90 days, then it seems pretty likely that it's going to break again. Avoid refurbished as well, even if it costs less. If you found this info useful. If I've saved you money. If I've done anything positive for you, then you can simply purchase anything, including a new camera, by using any of the below Amazon links. It costs you nothing, and Amazon will give me some credit. It's win-win. Here is what you've been waiting for, the actual recommendations. 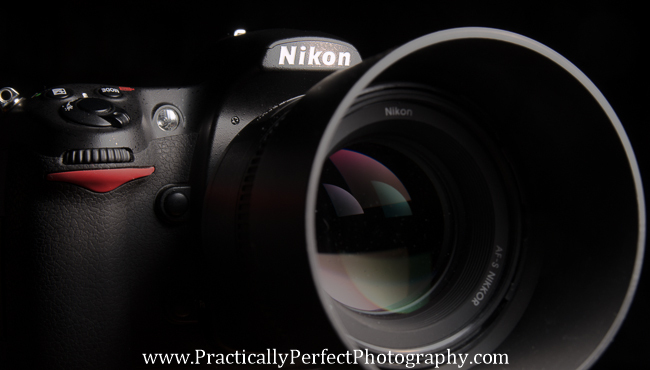 My recommendations are mostly Nikon-centric because they currently have more models available to purchase new. I'm also more familiar with Nikon because I've owned multiple models and shot even more. I have nothing against Canon at all and recommend them if that is your preference, but there is only one well-priced model available. I currently have no recommendations for Sony. Please be sure to use my Amazon links when buying, it really doesn't cost you anything and helps me to create more articles and help you more. There is also package that includes the 55-200mm VR lens. I have also used this lens for years and it's very good. A telephoto lens is the second that you should buy. If you have the budget, it's worthwhile to save some money and buy it with the kit (you save about $100). If you buy the lens separately later, you'll pay more than the two-lens kit costs. Double check to make sure you're not buying the NON-VR version. Always go with VR! I don't shoot Canon cameras, but there's absolutely nothing wrong with them. They don't do anything better or worse than Nikon. If you prefer Canon for any reason, then go for the T5. Remember, you don't need any of the fancy bells and whistles that are offered in the higher models. All I ever want when I pick up a different camera is to have full manual control, and this one, like all DSLR cameras, offers that. You can also get this one in a kit with a 55-250 lens, which also makes a great telephoto option. The D5xxx series offers one thing that can't be found on the D3xxx series, a swivel LCD. The D5200 is the first in the D5xx line that also includes a 39 point AF system. For only $409.49, it might be worth the extra cost over the D3100. You really have to decide your needs, that is $59 you can't put towards another lens. Another in the series of D3xxx cameras. Currently this costs more than the even newer D3300, so skip it unless the price drops. Latest and greatest of the D3xxx series. Also $100 more expensive than the D3100. You get more megapixels than the D3100, but you're not really going to notice that unless you're printing 2' x 3' or bigger. I would rather have a D3100 and $100 towards another lens than a few extra megapixels. If you're still sold on the D3300, then take a look at the current available packages. Like the D5200 it has a swivel LCD and the same number of AF points. There's nothing here that's really any better than the D5200, and right now it's about $250 more. There's nothing wrong with this camera, but if you're going to spend $700 on a new camera, I think you'd be better off getting a less expensive model plus a couple of extra lenses (55-200VR and maybe the 35mm f/1.8 which you could have both if you pick up the D3100). If I had to do it all over again, I would focus on lenses not cameras. Any one of the above cameras would be great for years while I mastered the basics. Even at 14 MP, the D3100 would easily have a high enough quality to make 3' x 2' prints. Any camera on this list easily has better image quality than the 12 MP D300 I shoot and made the pictures you can find in my Portland article. I would buy the cheapest body I could afford and get the Nikon 55-200mm VR (or Nikon 55-300mm VR), 35mm f/1.8, and Tokina 11-16mm f/2.8. After I had those, I'd replace my Nikon 18-55mm VR with either the Sigma 17-50mm f/2.8 or Sigma 18-35 f/1.8. Eventually I'd buy either the 50mm f/1.8 or the 85mm f/1.8 as a portrait lens. Let me know in the comments if you have any different recommendations. Maybe you bought a different camera and love it. Maybe I'm really missing out on something affordable from Sony. Let me know if anything is out of stock or got even less expensive.